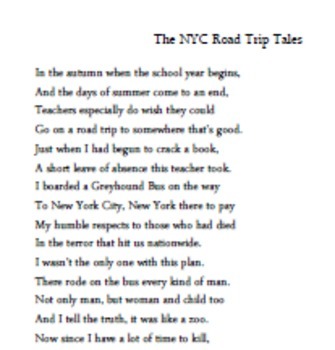 I have written a poem that introduces a teacher going on a road trip. It is done in iambic pentameter and couplets just like Chaucer's poem. 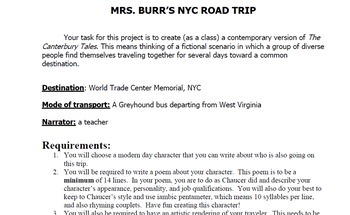 Students are to pick a modern job and create a poem based on meeting that character for the first time.